Mayor Mike Keenan serves as the decision-making authority of Dublin Mayor’s Court. Occasionally, a magistrate will preside over this Court in the Mayor’s place. Typically, the City Prosecutor brings charges on behalf of the City and will begin by making recommendations for fines, penalties, or sentencing. If a case is not disposed of during an arraignment, the Prosecutor will proceed in bringing the case to trial on behalf of the City. In the case of an OVI/DUI or other serious misdemeanors, the fines, penalties, or sentencing can be harsh ranging from $250 to $10,000, license suspension, increased insurance premiums, vehicle forfeiture and/or jail time, so it is important to have experienced legal representation. 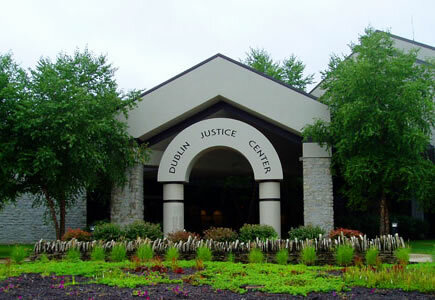 Funkhouser Law has a great track record and familiarity with the Dublin Mayor’s Court. The lawyers at Funkhouser Law provide premier legal services and representation to clients. Mr. Funkhouser and his associate personally guide clients through every step of the process—from arraignment to evidence assessment, and ensures that clients receive the most favorable outcome with the least disturbance to their lives by avoiding a conviction entirely and/or obtaining a reduction to a lower offense through plea negotiations. Friday after 7:00 a.m. through Monday at 7:00 a.m.
Monday after 7:00 a.m. through Tuesday at 2:00 p.m.
Tuesday after 2:00 p.m. through Friday at 7:00 a.m. The Court Clerk handles all of the court documents and money paid to the Court for fines and costs. The Clerk processes all warrants, summons, subpoenas, jury demands, continuances, and motions. The Clerk also notifies the Bureau of Motor Vehicles of all convictions, points and suspensions.